Aegean Marine Petroleum Network Inc, today announced that it has entered into an agreement to sell its two 2,400 dwt specialty RO/RO tankers, the Maistros and the Ostria, to an unrelated third party. Aegean Marine Petroleum Network Inc. (NYSE:ANW) today announced that it has entered into an agreement to sell its two 2,400 dwt specialty RO/RO tankers, the Maistros and the Ostria, to an unrelated third party. On completing the sale, the company expects to realize a net gain in the second quarter of 2009. It intends to use the proceeds of the sale to pay down debt. What, though, is a "RO/RO" tanker? If the term is unfamiliar, that could be because the Maistros, delivered in April last year, is the first, while the sister ship, Ostria, which followed. is the only other known example. The pair were built for Aegean by Romania's Severnav Shipyard, and were expected to bring major changes to the fuel supply of small islands in Greece. 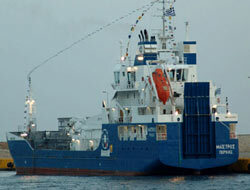 The double hulled vessels can carry up to six grades of fuel in six pairs of cargo tanks. On board is a garage that can simultaneously load up to five grades of fuel onto road tankers for distribution to island gas stations, storage depots or hospitals. 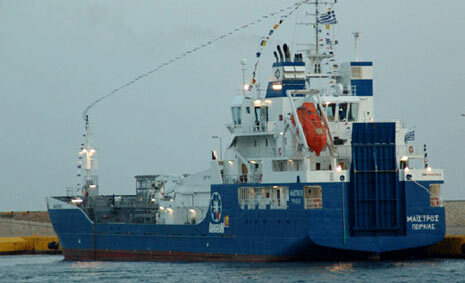 At the time they were ordered, Aegean was talking about expanding its presence in the Greek islands. 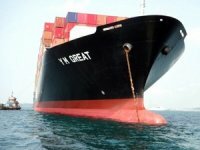 Now it says the two ships are "not related to Aegean's core business for the physical supply of marine fuel." Aegean President E. Nikolas Tavlarios commented: "With this transaction, management has once again acted opportunistically for shareholders. The agreement to sell Aegean's two specialty ro-ro tankers at an attractive price further reduces our debt, enhances our financial flexibility and strengthens our focus on the Company's core operations for the physical supply of marine fuel. With an expected profit from this sale, Aegean will further increase its sizeable liquidity position, a core differentiator for the Company. Aegean remains focused on drawing upon its significant access to capital to further strengthen the company's industry leading position and drive future shareholder value." 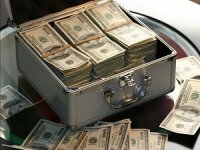 Sovcomflot to Get Loan for Atlanticmax LNG CarrierRussian shipping company Sovcomflot (SCF Group) has signed a new USD 149 million loan to finance the construction of a new generation 174,000 cbm Atlanticmax LNG carrier. 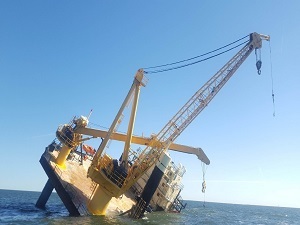 Atlantska Plovidba to Acquire Second-Hand PanamaxCroatian shipping company Atlantska Plovidba has acquired the 2008-built Panamax bulker M/B Pelagos for USD 11.95 million. 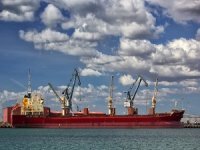 Diana Shipping Sells PanamaxGreek dry bulk ship owner Diana Shipping has agreed to sell one of its Panamaxes and signed charter contracts related to two of its ships. 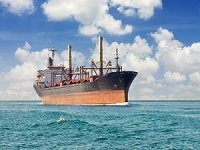 GoodBulk's Improvement in Capesize VesselsDry bulk vessel owner and operator GoodBulk believes that secondhand Capesize vessels currently represent the most attractive risk adjusted return opportunity. 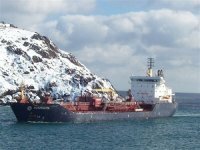 Algoma to Purchase Product TankerCanadian shipping company Algoma Central Corporation has purchased a 2008-built product tanker which will become the seventh vessel within the Algoma Tankers Limited fleet. 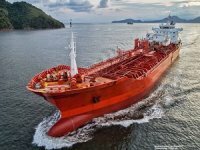 Odfjell SE: 2018 the Turning Point for Chemical TankersThe chemical tanker market remained challenging in the third quarter of this year, however, it stabilized quarter-on-quarter, according to Norwegian shipping and tank terminal company Odfjell SE.